Lieutenant-Governor of Manitoba (1870-1873), Nova Scotia (1873-1883). Born at Truro, Nova Scotia on 18 May 1814, son of Samuel Archibald and Elizabeth, daughter of Matthew Archibald. He was educated at Pictou Academy, studied law and was called to the Bar of Prince Edward Island in 1838 and of Nova Scotia in 1839. He represented Colchester County in the Nova Scotia House of Assembly, 1851-1867; appointed Solicitor-General, 1856; Attorney-General, 1860. Upon the defeat of the Liberal Party in 1863 he accepted its leadership but supported the Conservative leader, Charles (later Sir Charles) Tupper, on the questions of free compulsory education and Confederation. 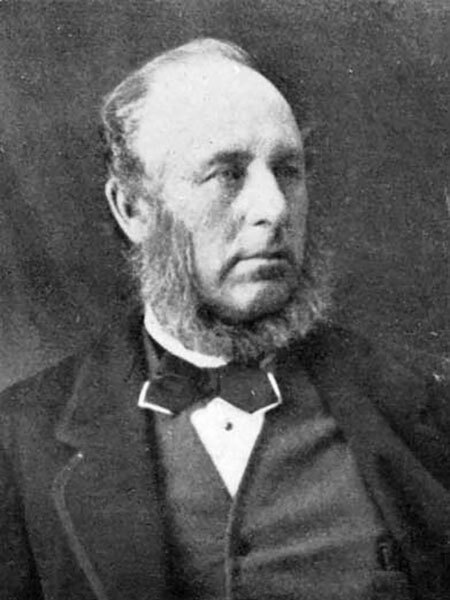 Archibald was a delegate to the Charlottetownand Quebec Confederation conferences of September and October 1864 and to the conference held in London during the winter of 1866-67 to complete the terms. On 1 July 1867, he became Secretary of State for Canada, but was defeated in the ensuing general election. He was elected for Colchester County at a bye-election in 1869 and remained Secretary of State until he resigned in May 1870 on his appointment as the first Lieutenant Governor of Manitoba and the North-West Territories. During his administration, which lasted until 1873, he laid the foundation of the civil institutions of Manitoba and the Territories. His initial task was to authorize a census of the Province for the purpose of compiling a voters’ list prior to electing a legislature. Local elections were held on 30 December 1870. He also organized a mounted constabulary of twenty men to maintain order in the community. The first session of the first Legislature was opened on 15 March 1871. There were 43 Acts passed and Courts of Law were set up. An Act to Establish a System of Education in the Province was introduced, and on 13 July Lieutenant Governor Archibald announced by proclamation the boundaries of the 26 school districts into which the Province was divided. The Protestant districts numbered from 1 to 16, and the Catholic districts numbered from 17 to 26 inclusive. He was created CMG in 1872. His next task of importance was the negotiation of Indian treaties. In May 1873, he resigned and the following month became Judge of Equity in Nova Scotia. He held this position until 4 July 1873, when he became Lieutenant Governor of Nova Scotia and held that office for ten years. In 1883 King’s College, Windsor, conferred upon him the honorary degree of DCL, and in 1884 he was chosen chairman of the Board of Governors of Dalhousie College and University. He was created KCMG in 1885. He represented Colchester County in the House of Commons, 1888-1891. In February 1886 Sir Adams became president of the Historical Society of Nova Scotia and remained its president until his death on 14 December 1892 in Truro. He married Elizabeth, daughter of Reverend John Burnyeat, in 1843. They had four children. The son died early in life. The three daughters were Joanna (Mrs. Rigby), Elizabeth Alice (?-1903; Mrs. Llewellyn Jones), and Mary Lavinia (Mrs. Heygate). He is commemorated by Archibald Street in Winnipeg. There are extensive papers held at the Archives of Manitoba. The Archibald Administration in Manitoba, 1870-72 by Neil Edgar Allan, PhD dissertation, University of Manitoba, 1987. Winnipeg Elite Study, G. Friesen Fonds, Mss154, Box 16, File 10, University of Manitoba Archives & Special Collections.